At Coast Radar we’ve compiled our list of top 10 dog friendly beaches in Cornwall. If you have a dog then family holidays are just not the same without the dog. Especially in the summer, it can be difficult to find a dog-friendly beach as many have seasonal bans. Don’t worry as in the UK you’re spoilt for choice when it comes to beaches to visit. On Coast Radar, we have just under 300 different dog-friendly beaches to explore and enjoy. The Rame peninsula marks the southeast corner of Cornwall and includes Whitsand Bay which offers four dog friendly beaches that all can be accessed from the coast path. These beaches offer good sand, rock pools and interesting rocky coves, although at high tide you lose most of the sand. Car parking is either on the coast roads or in the few car parks but then access is along the coast opath and can include some steep steps. 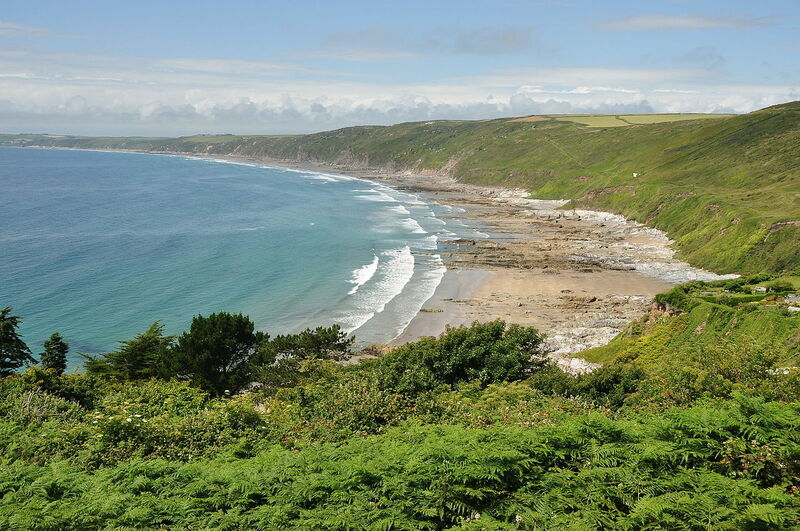 The four beaches that make up Whitsand Bay are Tregonhawke which is the largest beach and the smaller beaches of Tregantle (occasionally closed if the MoD is using the firing range), Freathy beach and Sharrow. Watergate Bay beach is just north of Newquay on the North Cornwall coast. the beach has two miles of great sand at low tide, rock pools and is a popular surf spot with consistent Atlantic rollers. The beach is large and so you have plenty of space available for your dog to have a good run around. Facilities at the beach include a couple of dog friendly cafes & restaurants, beach shop, toilets and ability to hire surf and beach equipment. The beach also has seasonal lifeguards. Bedruthan Steps is a National Trust managed beach to the North of Newquay and is a must visit location for any visitor and due to the tall rock stacks is one of the most photographed beaches in Cornwall. You will need a fit dog as the access to the beach is via a steep set of steps. Once on the beach, you have one mile of great sandy beach and rocks to explore. Just be aware that at high tide most of the sand disappears. Close to the beach is car parking and a National Trust owned cafe and toilets. Pedn Vounder beach, also known as Treen beach, is often an overlooked beach as it is just up the coast from Porthcurno beach which is one of Cornwall’s most beautiful beaches. 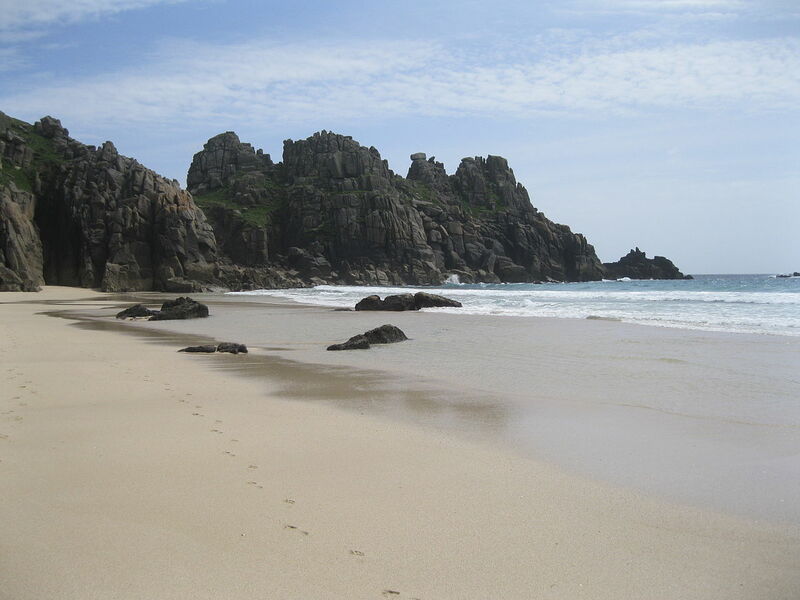 But, unlike Porthcurno that has seasonal dog restrictions Pedn Vounder allows dogs all year. You will have plenty of space as the beach is hard to get to with a walk from either Treen or Porthcurno and the last part is a steep scramble down to the beach. At high tide, you will get limited sand but then why not head along to Logan’s Rock which is an eighty-ton granite boulder perched on the edge of the cliffs overlooking the beach. 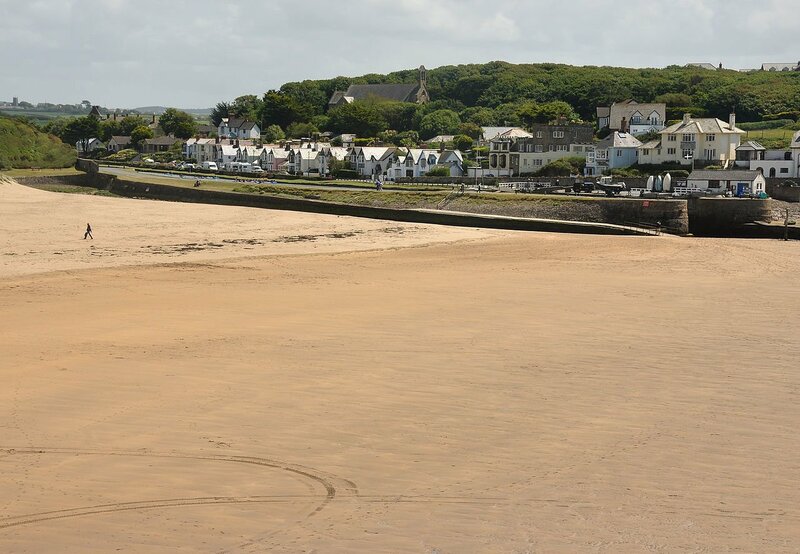 Perran Sands allows dogs all year round but during July and August, they are however required to be on a lead between 10am and 5pm. 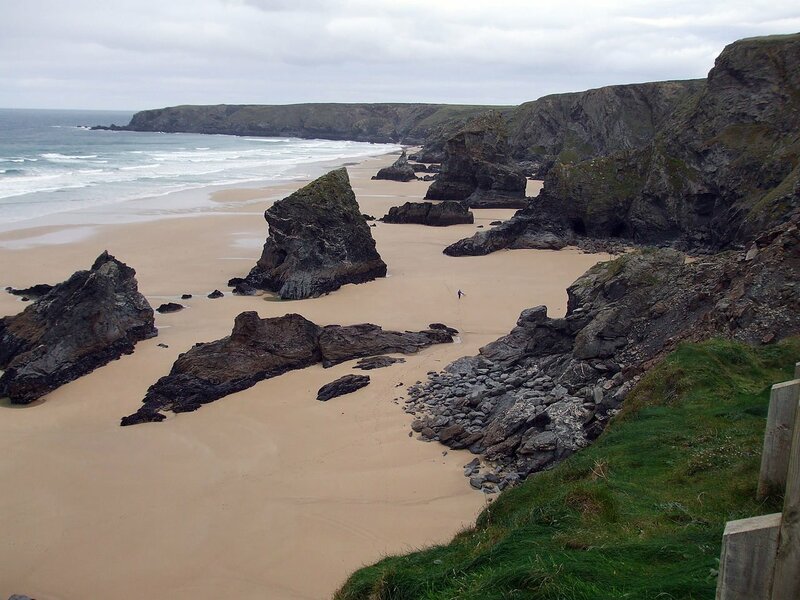 The beach merges with Penhale Sands and combined are close to 3km in length and backed by an extensive sand dune system. This is a tourist-focused area and so plenty of places to eat that are dog friendly. Mawgan Porth is a great beach for dogs and families with plenty of facilities, as well as lots of rock pools and caves to explore. 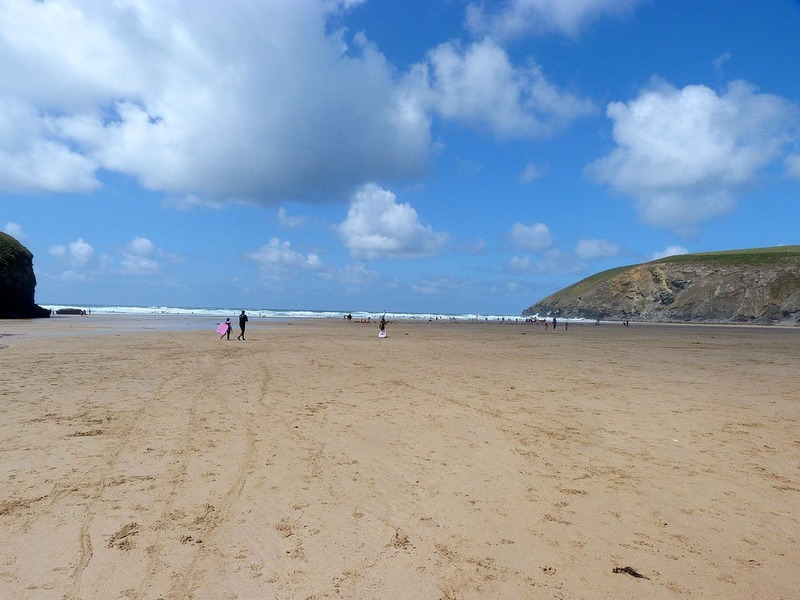 The key to Mawgan Porth is unlike a number of Cornwall beaches at high tide has plenty of sand. 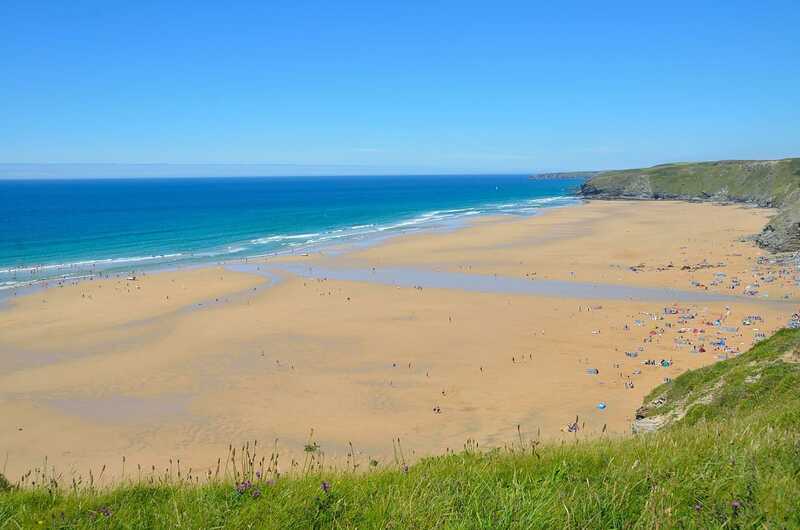 The beach is typically not so busy is its Newquay neighbours and is backed by cliffs giving it a spectacular location with plenty of facilities. 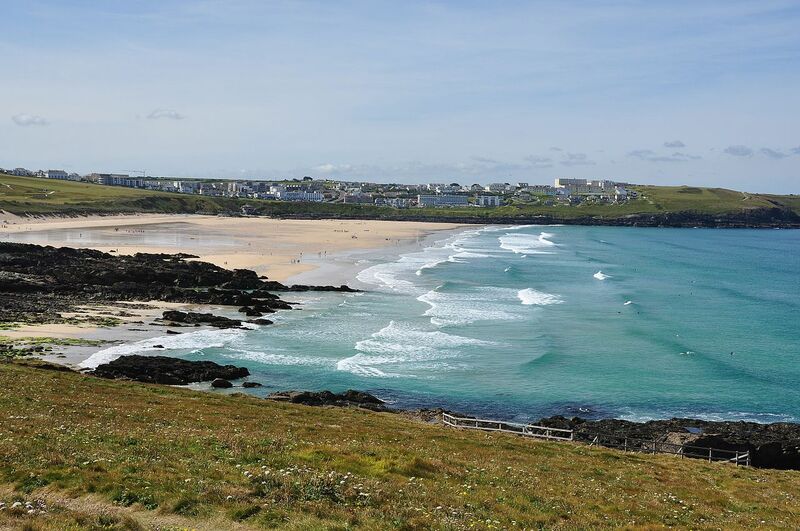 Fistral beach sits within the town of Newquay on the north Cornwall coast. The large sandy beach is within two headlands that give it some degree of shelter but also a constant Atlantic swell and thus some great surf conditions. Although, internationally known for the surf this is a great family beach also with some good walks on the two headlands. Beach and seafront facilities including surf equipment hire, lessons and surf shops, showers, toilets, car parking, restaurants, cafes and seasonal lifeguards. Gwenver beach is just next to the popular Sennen Cover and unlike Sennon that has seasonal dog restrictions, Gwenver allows dogs all year round. 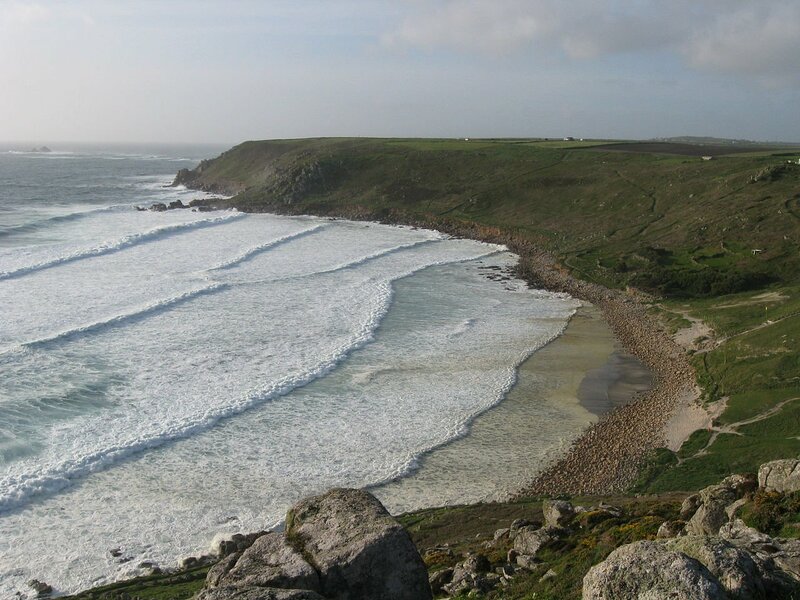 The beach can be accessed from the large car park at the top of the cliffs and then a steep walk down our you can take the coastal path or at low-tide the beach from Sennen Cove. As it does not have any facilities other than seasonal lifeguards it is less occupied than other Cornish beaches other than those that come for the great surf. Padstow does not have any beaches in the town itself and Harlyn Bay is one of the best accessible beaches that allows dogs all year. 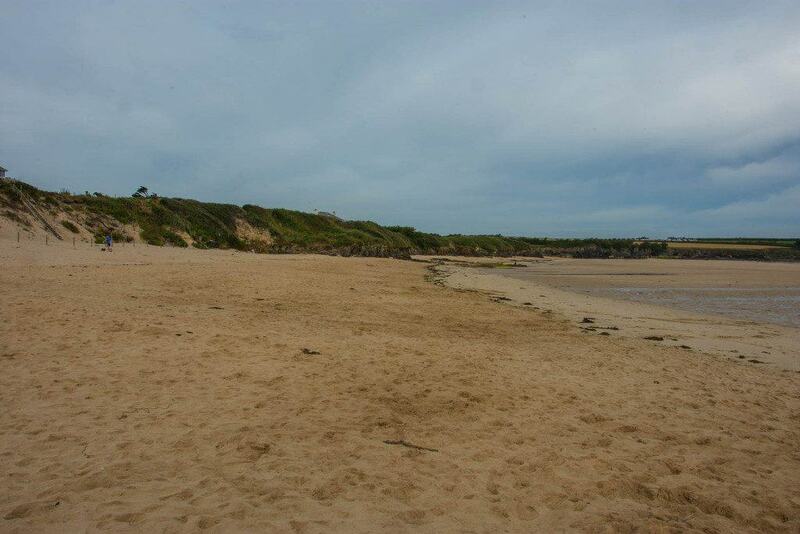 A great overall family beach with good surf, rock pools and backed by dunes. If you are in the area it is well worth a visit to National Trust managed Trevose Head that offers spectacular views out along the coast. Summerleaze beach is the main beach in Bude and is just about as far north as you can go in Cornwall. Dogs are welcome all year round, however, this is the only beach in our top 10 list where dogs must be kept on a lead during the day from late May to the end of September. However, the beach does back onto grassy dunes where there is plenty of space for a run around. At low tide Summerleaze beach here is massive and it is a town beach has just about everything a seaside resort can offer close at hand. This was just our list of top 10 dog friendly beaches in Cornwall and I am sure everyone has their own favourites. Do you have a favourite dog friendly beach in Cornwall? We would love to know by commenting in the box below or starting a conversation on our facebook page.